On the day of your proposal, our experienced videographer discreetly captures your proposal and provides a portrait session after if desired. 15 minutes session. 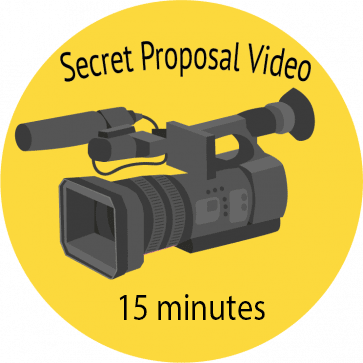 Raw video of your proposal. 3-4 business days delivery.